Surpassing all ADA (American Disabilities Act ) guidelines for playground equipment in public recreation applications or residential environment. For almost twenty years the Jennswing special needs swing seat has been available to families and parks of America and is now available for children in Australia to experience the exhilaration and fun of swinging with safety , at home or in a park near you. 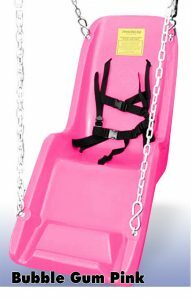 JennSwing gives children with special needs the opportunity to enjoy the relaxing and simple pleasure of swinging that we all once enjoyed as kids growing up on the swing set! 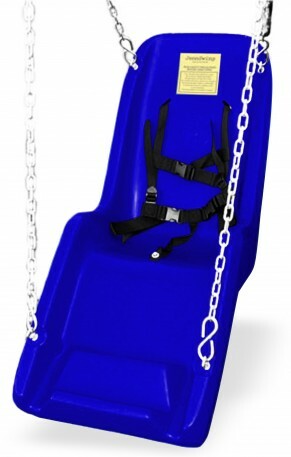 This special needs swing seat is for children weighing up to 56.7kg.